Marshall Electronics Broadcast division description and specifications for 2.0MP 20X Zoom IP Box Camera model VS-541-HDSDI with 2 MP, 1920 x 1080, CMOS Sensor, Full HD resolution, Video encoding, audio encoding, Optical Zoom Len, Digital Zoom, live streaming, Dual Streaming, HD-SDI Video, Two-Way Audio Communication, Back Light Compensation, SD card recording, Video Motion Detection. 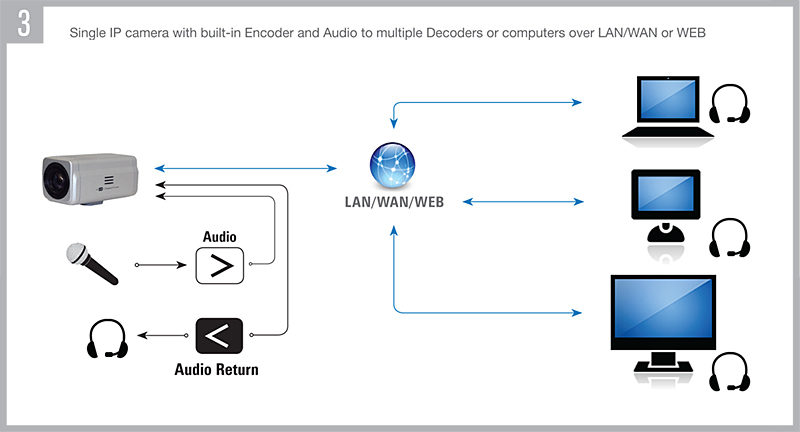 Single camera with stereo audio point-to-point Encoder (source) to Decoder (monitoring) over LAN/WAN or WEB. Single IP camera with built-in Encoder to multiple Decoders over LAN/WAN or WEB. Single IP camera with built-in Encoder and Mono Audio to multiple Decoders or computers over LAN/WAN or WEB. 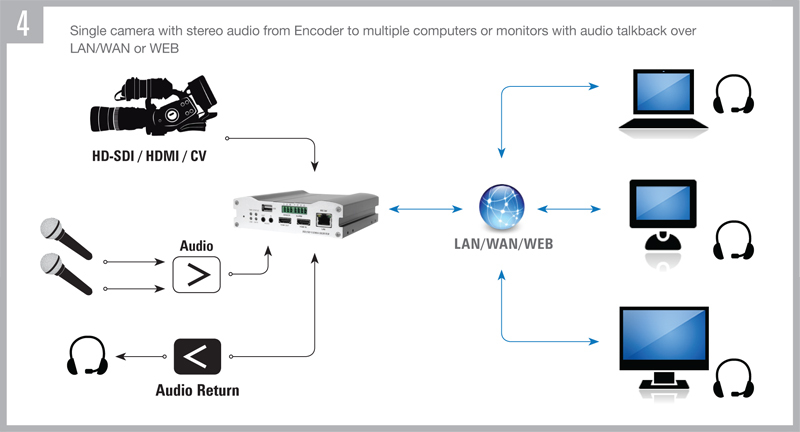 Single camera with stereo audio from Encoder to multiple computers or monitors with audio talkback over LAN/WAN or WEB. Multiple IP cameras and Servers interconnected on a private LAN along with several monitors and computers ported to the WEB. 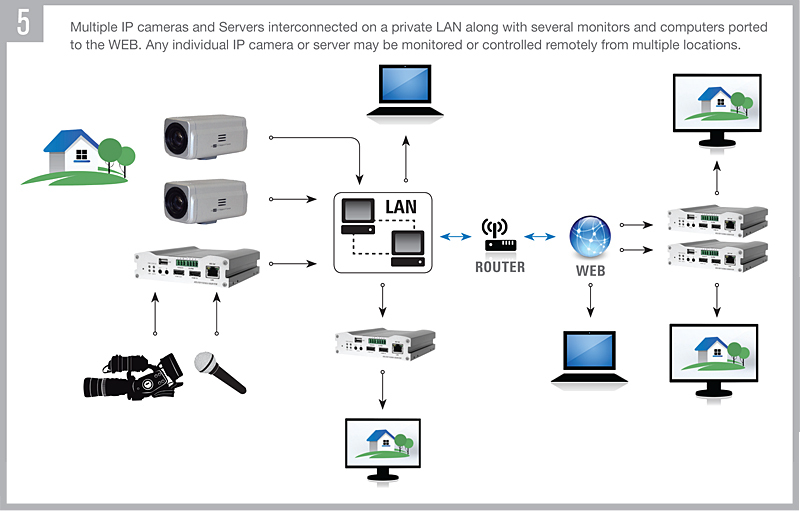 Any individual IP camera or server may be monitored or controlled remotely from multiple locations. © 2019 Marshall Electronics, Inc.